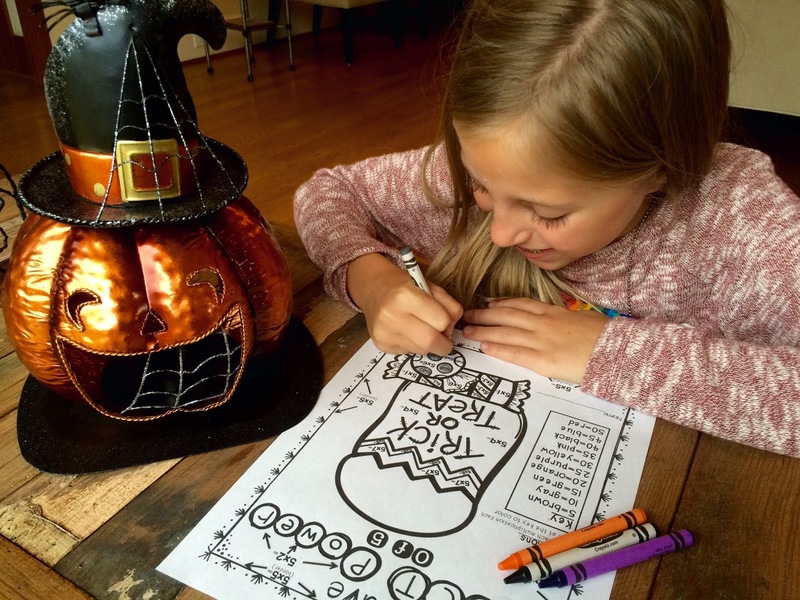 Tricia's Terrific Teaching Trinkets: Halloween Multiplication Resources - Great Fun for October! 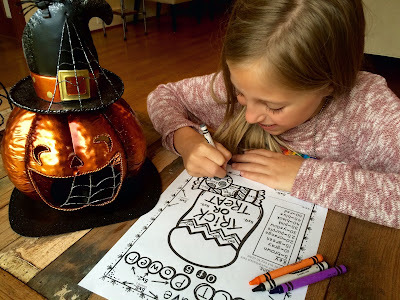 Halloween Multiplication Resources - Great Fun for October! 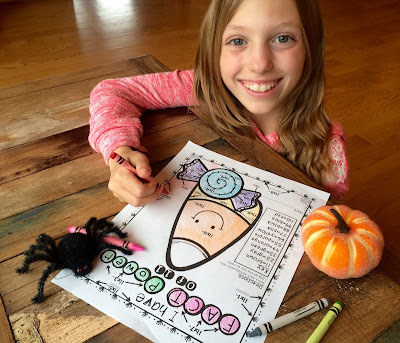 Today I'm excited to share my Halloween resources with all of you! My favorite is my new Halloween Multiplication Color by Code Practice Activities! October is one of my favorite times of year, and I get excited at both home and school! I love Halloween! I look forward going into our attic and getting down the 9 giant tubs full of Halloween decorations, crafts, and costumes. 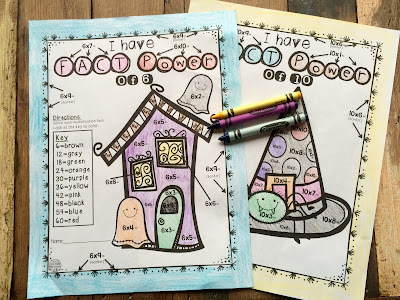 Every one of my sons have invited their entire Kindergarten and First Grades classes to our home for a Boo Bash full of themed crafts, games and Halloween fun! The Halloween fun continues in my classroom as well. I adore decorating the classroom with cobwebs and bats. My kiddos anticipate the Halloween fun that will also be incorporated into our curriculum. One of my newest creations is Halloween Multiplication - Color by Code. 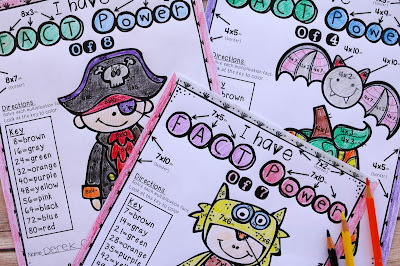 My students love practicing and revisiting their math facts through games and coloring fun. 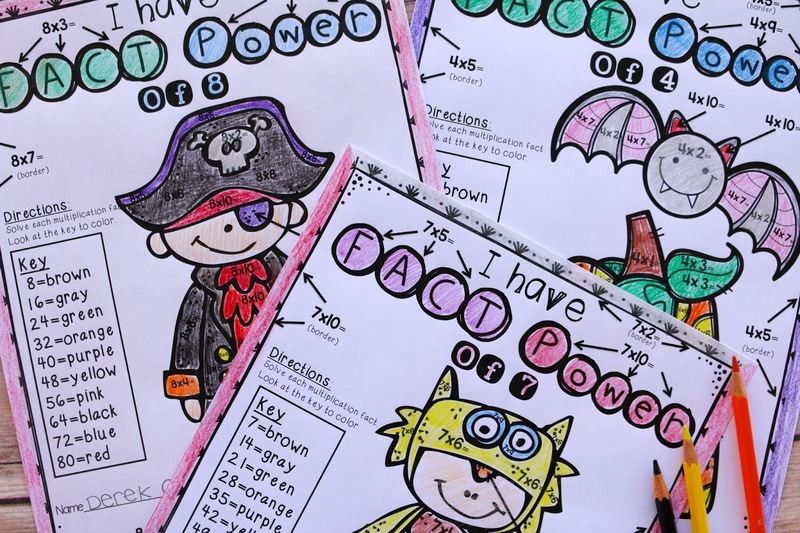 On the lookout for even more great Halloween resources? Check these out! And I know I promised a free Halloween download, so here it is!! 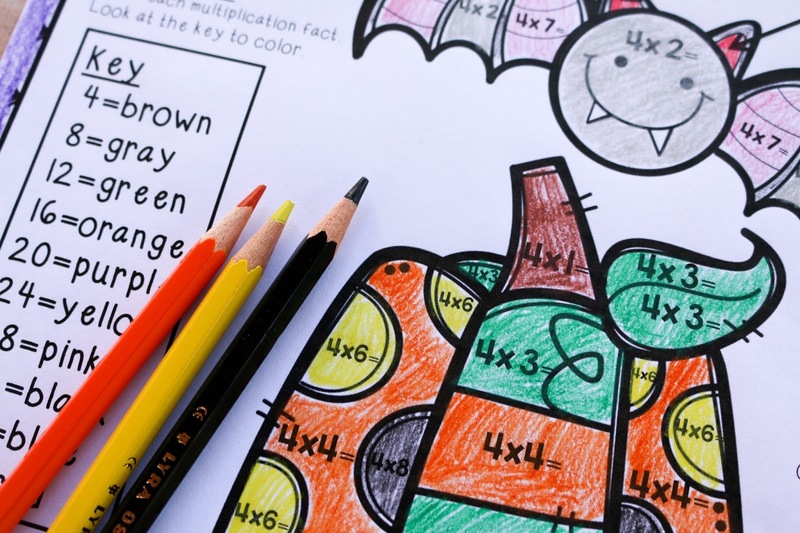 Enjoy the Halloween multiplication resource, as well as the many others that are included. Happy Halloween!! Great blog and cute kids! ;-) I shared in three fb places and signed up for the blogs...if I did it correctly. Keep up the awesome work!